Any of you of ‘a certain age’ who have a navy blazer and a pair of sensible grey slacks hanging in the wardrobe, look away now. You are not going to like this one. I will admit that there are many things to like about Christmas. I suggest that you make a ‘nice’ list for yourself and refer to it on those occasions when you lose your temper queueing for the turkey and ham, or when the family presents don’t arrive from the magical Internet. There are also a few pretty strident arguments as to why Christmas is a hateful time of the year. There is the guilt salving commercials on TV pleading for just €10 a month to fund the administration of some burgeoning charity. There is that feeling of self-loathing we get as we deftly ignore the carol singers’ outstretched bucket on our way to yet another Christmas boozing session. And there is the Dreaded Sausage Roll. The only time of the year we are exposed to the DSR is when we middle-aged males are wearing that slacks and blazer combo, holding a glass of ‘interesting’ Merlot and talking house prices with our neighbours. The female of the species tend to congregate at these functions (always held in the over-warm sitting room of somebody in the locality) dressed in “this old thing” that cost a month’s wages and will only ever be worn once. While the wine can be described as ‘interesting’, the finger food (what a stupid descriptor) is usually pretty awful. Particularly so the sausage rolls. 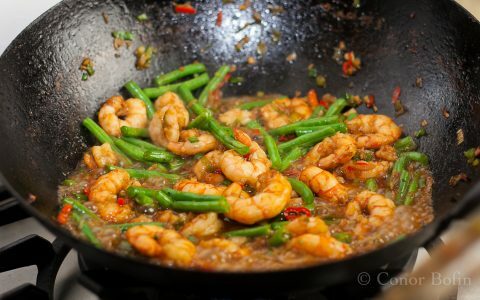 Greasy, salty and otherwise flavorless, they are repeatedly inflicted on guests by the truculent children of the host. The men stand around in groups of three, trying to be interesting and a little edgy while discussing actuarial predictions for looming pensions. The women sit on every available chair and couch and get stuck into art of talking over, while listening to, each other. If I have to suffer another of these occasions, hopefully the host will have read this and will cook my Fennel and Apricot Sausage Rolls recipe. That assumes they aren’t offended by the reality of my comments, and they invite me to join in the festive fun. I thought I might as well get all festive with the preparation. Chop the onions up nice and small. 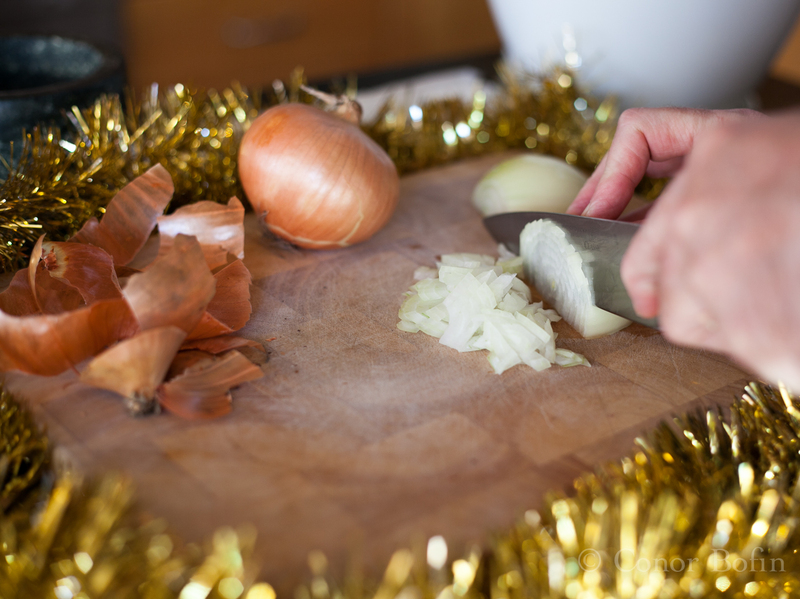 Festive onion slicing. Working hard to get me in good form for a drinks party. Sweat the onions over a low flame until they are translucent. Dry-fry the fennel seeds until the house is full of the lovely aroma. Fennel works really well with pork and really lifts the apricot flavour too. 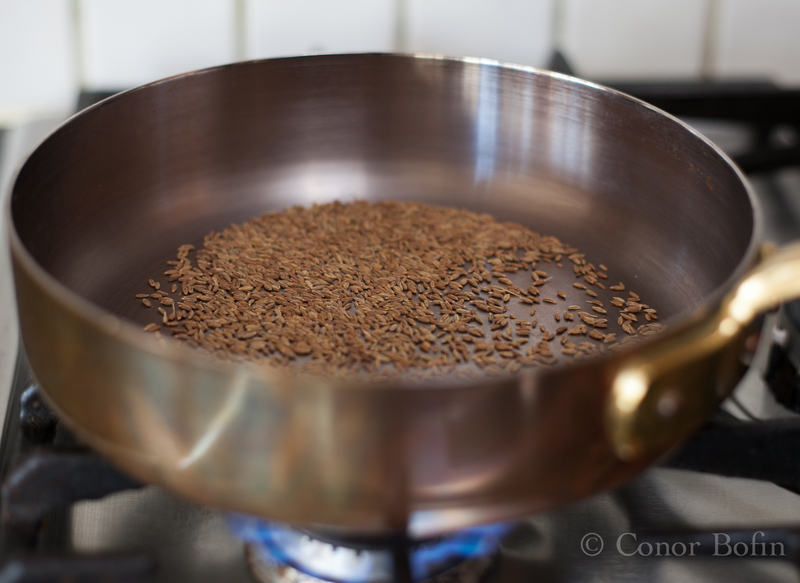 Then grind the fennel seeds into a powder in a pestle and mortar. 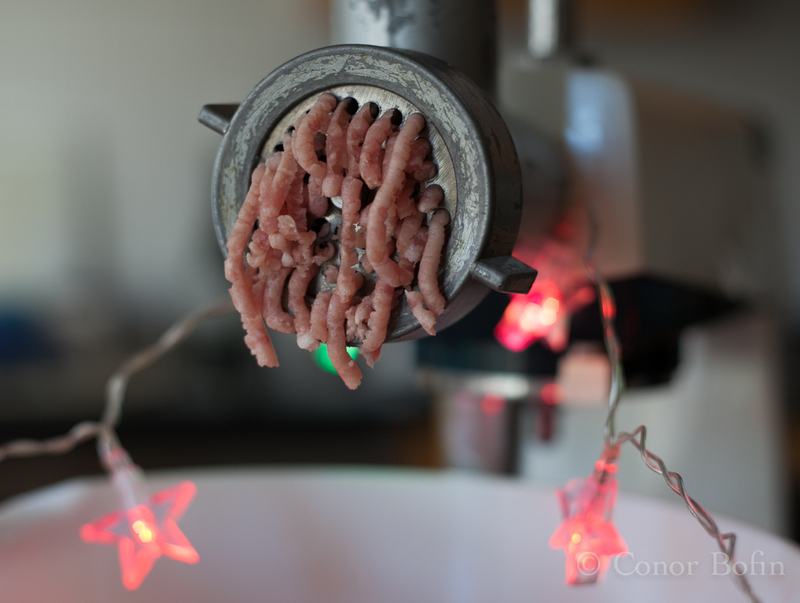 Mince the pork and the fat in as festive a way as possible. Ho, ho, ho. I got the recipe from Santa. That explains the lights. Chop the apricots nice and small. Note my festive colour co-ordination with the tinsel. Hard to believe I am a Christmas Grinch. 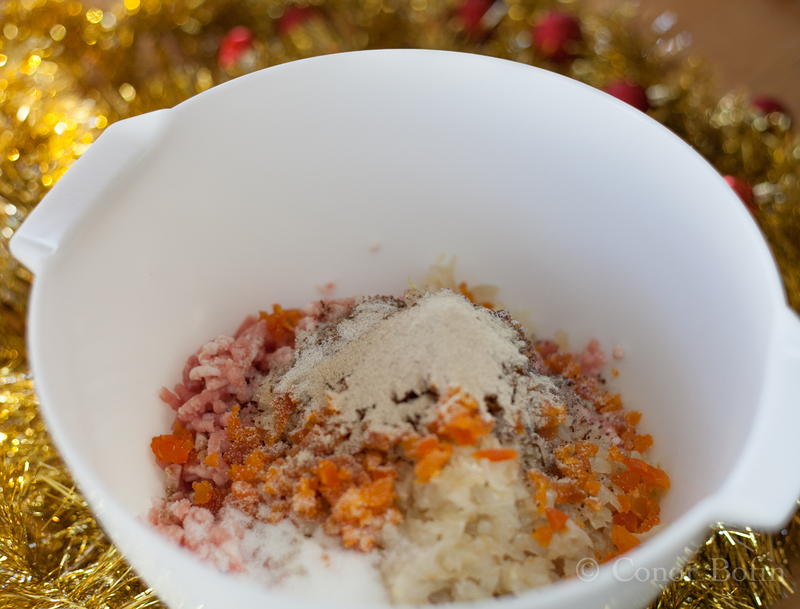 Put all the ingredients into a mixing bowl and mix until combined. A pretty seasonal looking mixture. Enough fat for flavour. Not too much to expand the waistline. 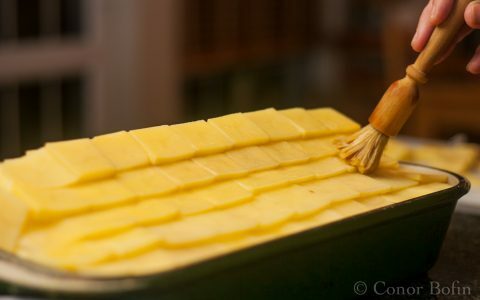 Roll out the pastry sheets and cut in half. 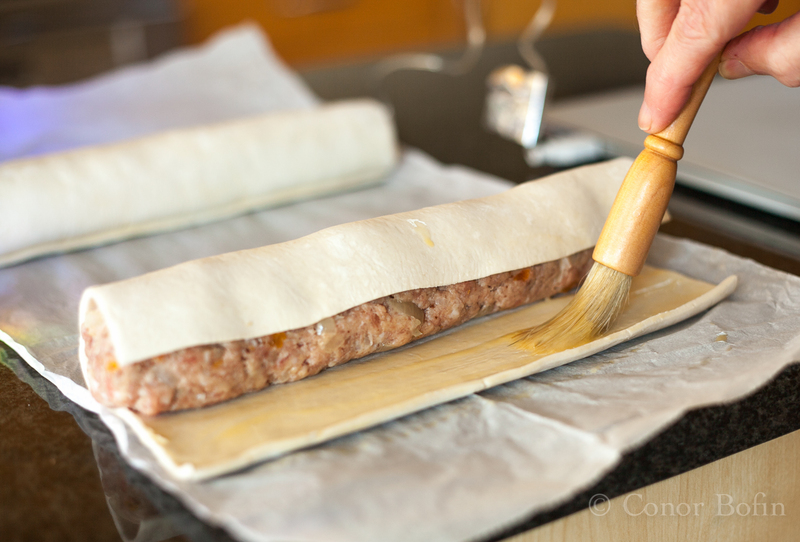 make a sausage shape out of the meat and lay it on the pastry as shown below. I’m getting value out of those christmas lights. 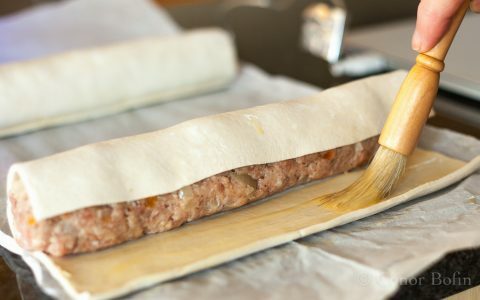 Roll the pastry up until there is a seam left as in the picture. Paint on the egg wash. It seals the rolls nicely. 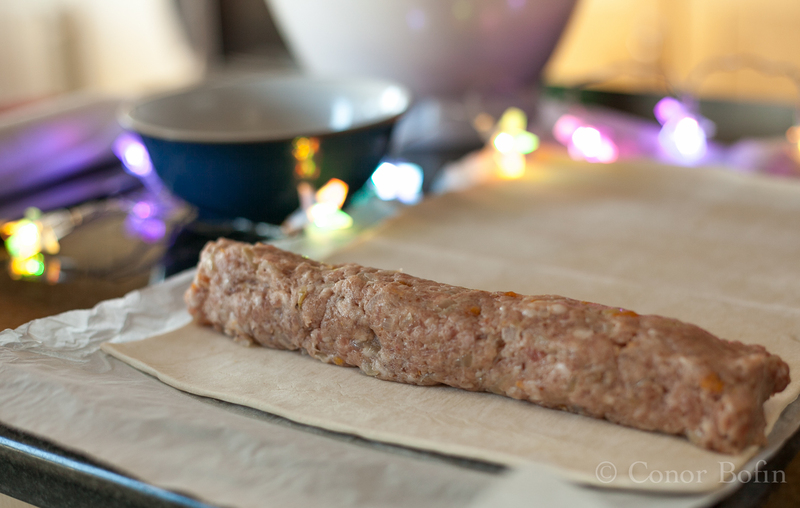 Slice the rolls into sausage roll size pieces. Here you will have a quandary. If you have a bunch of neighbours arriving, cut them slim so they will go further. If, like me, you are hiding from the world over the Christmas onslaught, cut them nice and large (like in the photo). 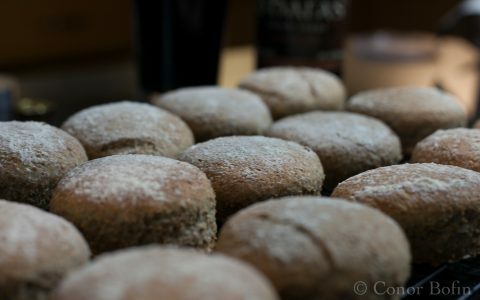 Arrange them on greaseproof parchment on a baking tray. Paint them with the egg wash for a nice golden outcome. Place them in a 200ºC oven for 25 minutes. Less if you are having the neighbours over and are serving very slim rolls. They look far too tasty to waste on the neighbours. Let these cool enough to serve in as festive a fashion as you care. These are as far from the DSR as you can get. Though, I did go for an ‘interesting’ Merlot. All I have to do now is get my grey slacks and blazer out of the dry cleaners and I will be ready for the seasonal invitations. Of course we dress our table like this for every meal in December. Don’t you? The Post of Christmas Past. 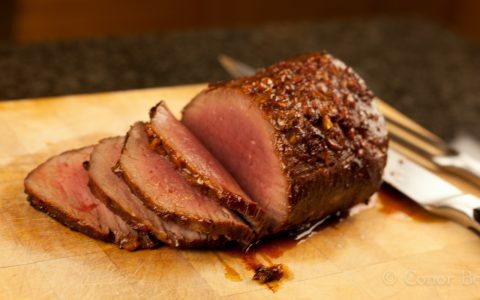 Love the thought of venison for Christmas Day. Though, it would probably ensure that the family join the neighbours on ignoring me. Fennel in sausage is delicious! Sounds delightful! Thanks Jersey Girl. In truth, I slightly overdid the salt. However, it does mean more interesting Merlot drinking to compensate. Growing up in England, I never attended ANY sort of gathering, be it a Christmas party, kid’s birthday party, school function or what have you, where sausage rolls were not served… In Canada they are not especially well known. I think that’s why my parents emigrated. A good plan by your parents. My youngest has just done the same thing. Now living in Toronto. I am looking forward to some festive gifts of Canadian goods. If I were to eat sausage rolls, yours are the ones I’d eat. But I won’t. Bah. Humbug. And in any case, Christmas here is too hot for pastry products, despite what every single male member of the Australian population would tell you. So I’m hiding this from my husband, in case he gets Ideas. Probably the right thing too Kate. It would be too hot for the blazer too, I suppose. Indeed, although perhaps coupled with a pair of board shorts…? A sort of Colonial Hipster thing going on? You Scrooge, you! 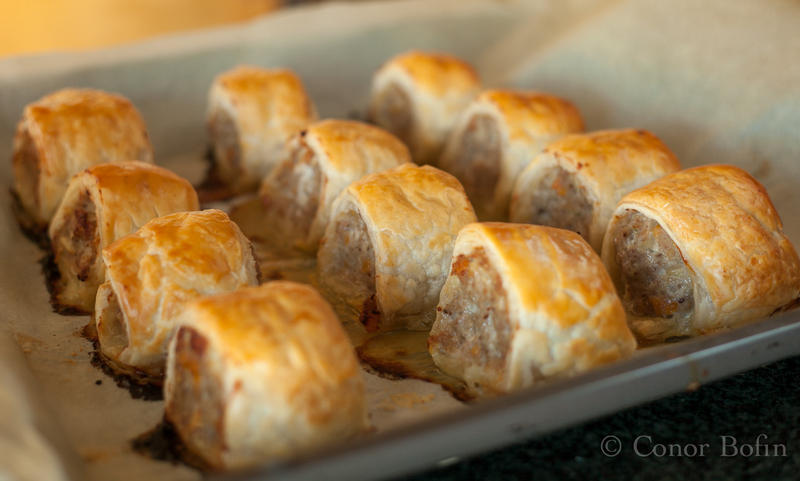 I was thinking about blogging a nice, simple recipe for sausage rolls next week. You beat me to the punch, but I may still go ahead ;). Looks delicious. Yours will trump mine Nick. They are good cycling fuel, if you can prevent them getting crushed. I hope to have some on my Christmas bike escapes. No doubt, cycling would be out of the question, particularly with all the presents you will be bringing…. Exactly – I’m just about to phone the train company and book my bike on. We’re off to London for a wedding this weekend, followed by Christmas in Aylesbury. I’m going to try by best to traverse as much as possible by bike. Oh, the husband would be such a fan of this!! Thanks Debbie. I hope it’s the rolls and not the Christmas spite boiling over in me. 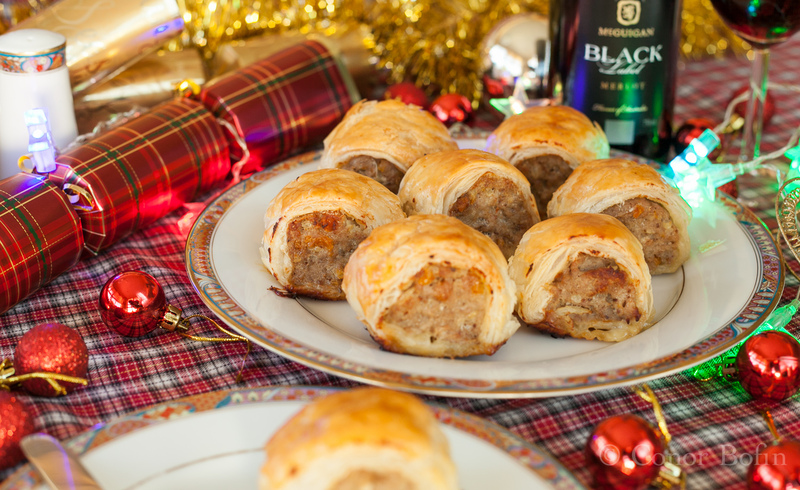 I know I’m in the minority, but I like sausage rolls, along with the version we have stateside: pigs in blankets. I used to get sausage rolls at a tea shop downtown but they closed, and I’ve been meaning to make my own for a while now! Try this recipe. They tend to outshine the stuff from the shops. I love meat wrapped in things! See: weenie wreath. I love sausage rolls. And yours are the real deal. I’ve made my brother’s version which is just Bob Evans sage bulk sausage wrapped in frozen puff pastry. I love it when things are THAT easy and people think it’s fancy. 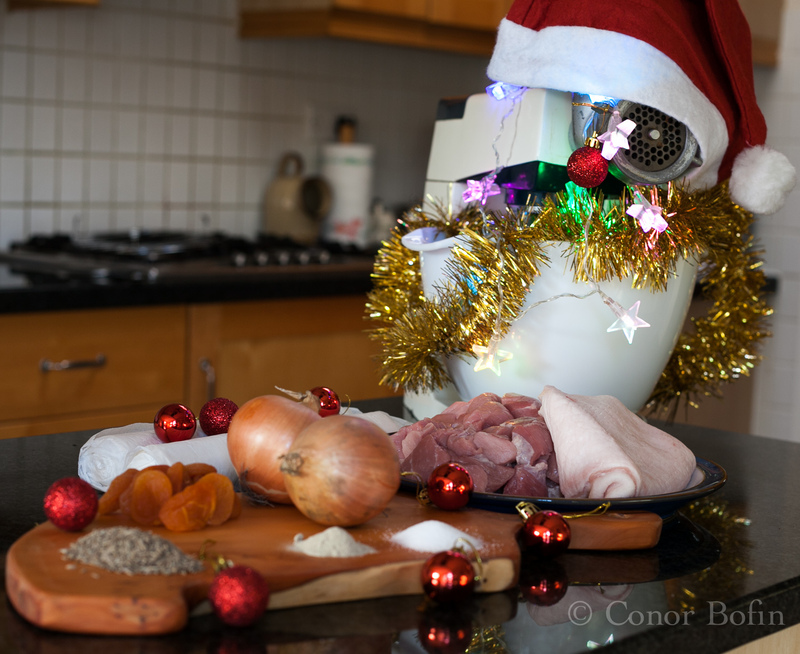 Fingers crossed that Santa brings me the meat grinding attachment to my KitchenAid! Santa will be good to you. You have been so good to all of us with those amazing magical pies. You deserve a meat grinder. It will expand your culinary horizons no end. Such a festive looking post. I’m sure you will be very handsome in your navy blazer and grey slacks while holding a sausage roll in one hand and an interesting merlot in the other. If you take a plate of your rolls along with you when you accept the invitations, you will be very welcomed…I’m sure. I hope you and your family have a very Happy Christmas Conor. Thank you Karen. If you see me so attired, shoot me. The very best to you and yours too. Nice take on a traditional theme. If I were you I’d bookmark my own recipe and lose the address of the dry cleaner. Season’s greetings! Not a bad plan. However, the dry cleaner is next door to the off license and that creates a problem. Thank you Mr. F. I had fun venting it. If I would come across your sausage rolls at a party I would have more than one. Get dressed and have fun, you never know, this year maybe different. Happy Holidays! Thanks Gerlinde, I will take myself off to the dry cleaners. A fresh pair of skacks and a fresh outlook are needed. Oh, I will try these – they sound delicious – just as soon as I find some tinsel to wrap around my cutting board! Most important to do so at this time of year. It keeps the Christmas depression at bay. Thanks for the visit and kind comment. These look so good. I’d eat these happily, though I’ve never had to sit through the horrid ones you speak of. You have had a sheltered upbringing Amanda. You are all the better of it too. The DSR should only be eaten when there are at least two stiff ones consumed and one stops caring what the food tastes like. Your Cocktail Thursday seems like a great plan. Last week we had breaded mozzarella sticks, spakonita, little dogs in puff pastry, salami wrapped around smoked mozzarella, and stuffed mushrooms that tasted like really good onion soup! I will keep that in mind on the two stiff ones. I think we can do that! Maybe with martoonis…. That’s more like it Barb! There are very few good sausages available here. The mass market stuff is, in general, muck. I have made my own and posted them before. Sausage link is here http://wp.me/p1NUXa-bX. (I love that sausage link!). In general, the sausage roll is a close relation of the sausage and suffers the same family traits. I have to admit to having a penchant for single malt whisky,the Scotch variety,with savoury pastry parcels such as your sausage rolls. It would,however,be remiss of me to consume these without the Irish variety,so a pointer in the right direction would be much appreciated. Were I doing likewise, I would probably go for a Jameson 12 Year Old. If I had a glass of that, I probably wouldn’t mind what I was eating. Another tasty tale full of great humor. Thanks Scribe. I enjoyed the writing. Though, some of my neighbours might not forgive me…. You are welcome now matter what you are wearing. Thankfully due to a large number of vegetarians and people with severe dairy allergies our family gatherings are sausage roll free, so I tend to associate them with two things: funerals and house parties here you get so drunk they actually start to taste good. The absolute truth of your comment made me laugh out loud. Thank you Fay. I live to please. Actually, at the moment I would say I live for chocolate brioche and morphine but I can add pleasing to the mix. I could do with the latter at present. Just enough to get me through to the early part of ’15. Well you can’t have mine. It’s mine. My own. My precious. I wouldn’t call these sausage rolls, Conor. Why shame these tasty treats with that disgraced moniker? By the way, do your neighbors follow your blog? They used to John. They used to…. Have tears in my eyes from laughing! Remember the grey slacks/blue blazer era well [you mean it has passed 🙂 ?] Also those ‘sausage rolls’ which in summer friendly Australia present even less well!!! [OK: must try yours . . . 😉 !] One matter meant more: the separation of the sexes!!!! That is NOT any kind of party!! Remember being in Med School with a number of NE European gals who would naturally get up from those sideline seats and promptly go argue real estate or economics or politics or whatever with the guys. Oh they loved it but we promptly got termed as ‘fast’ – huh????? Thank the blessed Lord that is over!!!!!! I should host one now…. Good morning, Conor, your post really did cheer me up so early in the morning. I was in a pretty foul mood (unusual for me) but almost laughed out loud on the train 😉 The christmas decorations in your preparation shots are hilarious! And so tastefully done as well. Not to mention the witty description of a typical christmas party and the lovely ASR (Anticipated Sausage Roll) recipe. 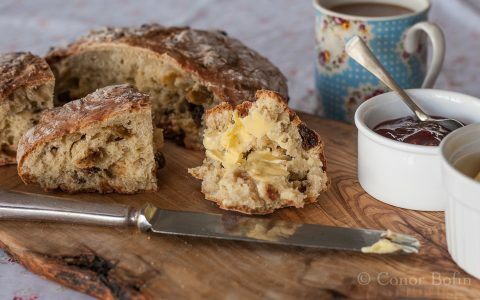 The fennel and apricots must make these very tasty indeed. Might I suggest a buttery oaked chardonnay-viognier as an alternative for the merlot? You have outdone yourself again, well done. The Chardonnay would be perfect. However, given it has fallen out of fashion, most will not dare serve an oaked Chardonnay at such a soirée. Sadly, if one were going white, it would be a Pinot Grigio, no matter how inappropriate. 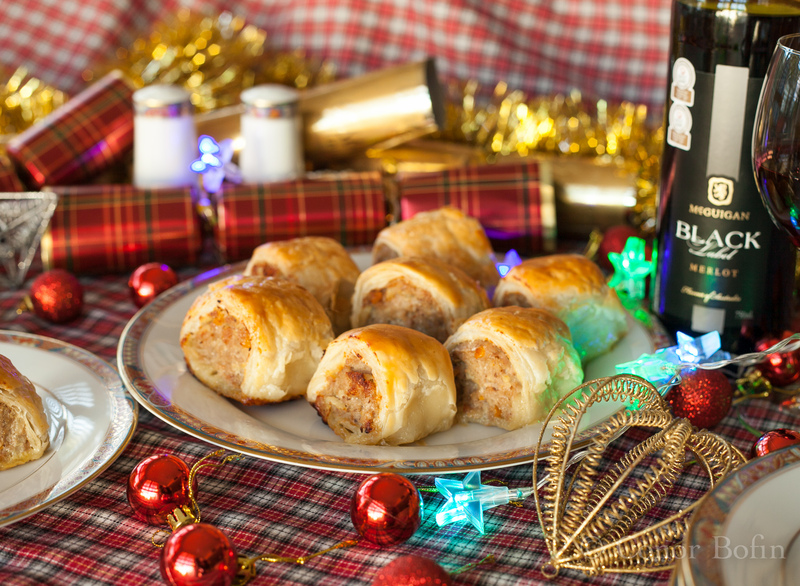 PS sausage rolls are quite popular here, and not just around christmas. I don’t care for the spices used (not possible to taste the meat). 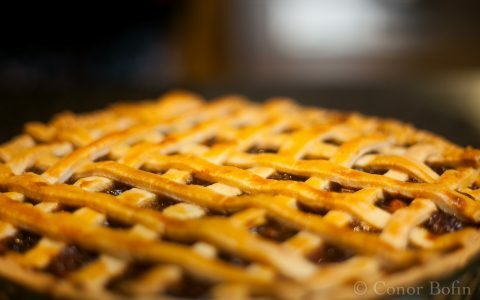 They are not slices but individual ‘envelopes’ with much more pastry. Interesting. They all tend to be over-salted, over-spiced and over here as they might have said during WW2. Sugar, Conor – and I truly thought that ‘saying’ came from ‘Down Under’ about the Yank soldiers ever present during WWII – ‘over-paid, over-sexed and over-here’!!! Love the description of the party and “this old thing?” Perfect. 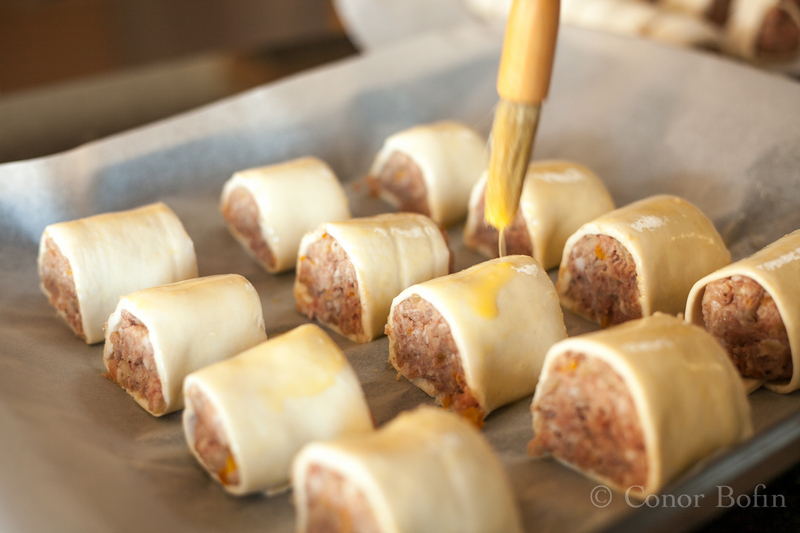 I’m a fan of the sausage roll but yes, they can be horrible but this recipe looks amazing. 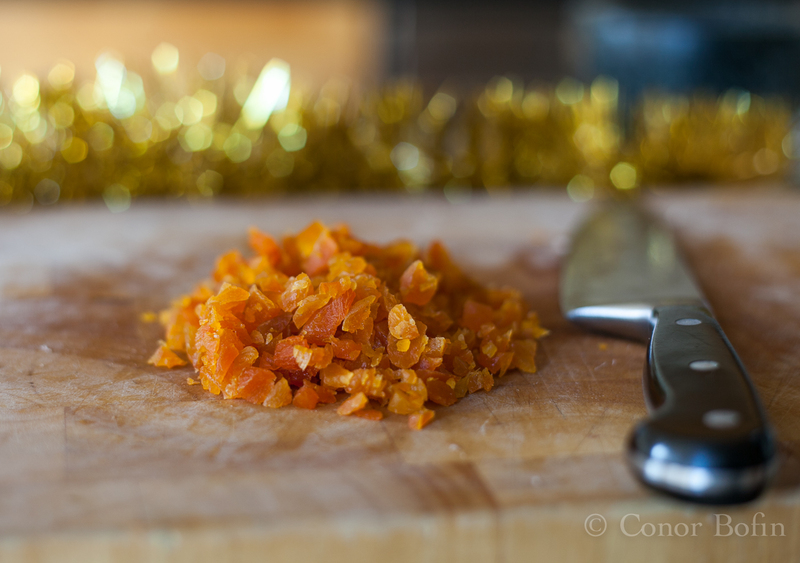 The addition of apricots is wonderful. I am so looking forward to ‘Christmas Drinkies’ over the coming couple of weeks. I walked into our local shopping centre the other day to purchase some sellotape. But between me and the sellotape shop was a swarm of carol singers and a woman waggling a bucket. As I began to move towards them, hoping to slide past without being noticed, she caught my eye and her waggling became more ferocious. I diverted into Morrisons and purchased a load of crap I didn’t want. And went home, sellotapeless. I love Christmas. We are two of a kind. They had a dump bin of sellotape in our local petrol station. 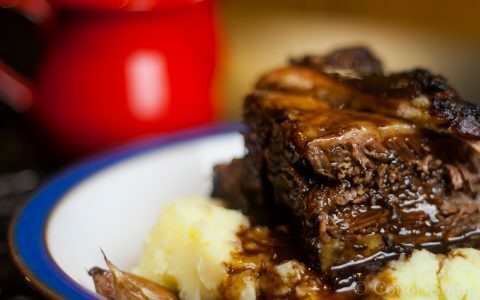 I have a long length of rope, some Leonard Cohen and a pint of gin for when that Grey slacks, blazer wearing, mortgage chatting, middle-clssing, Volvo-appreciating, wife ignoring dynamic threatens to strangle my current splatter gun approache to life Conor……and I love your Sausage rolls…I knew your were the man to produce the goods! Your Cohen / gin armoury seems like a pretty good selection to get through Christmas. Most festive. I’ve done something very similar with Argentine blood sausage and pears, much to the delight of the (Argentine) relatives and horror to (Non-Argentine) others. But do try and enjoy the Holidays (a fabulous excuse for bad behavior). All the best to you and your crew. I like Christmas, ca you forgive me for this admission? But I enjoyed your post. What you have made is amazing! Thanks. A bit of festive nonsense. By the time we get to it, I might even like it a bit too. I’m Canadian living in Australia and these sausage rolls are literally everywhere. I’ve never really enjoyed them, but yours look so inviting. 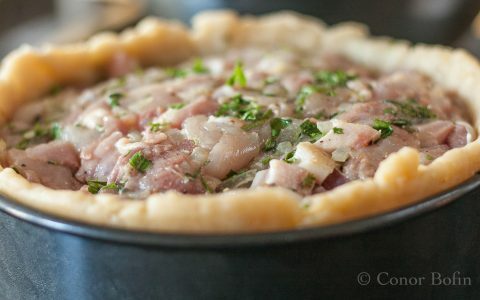 Thanks for posting your recipes… They look amazing. My youngest is Irish and living in Canada. You must have got sick of all the snow I am hearing about. Thanks for the kind words. Where’s the sauce? 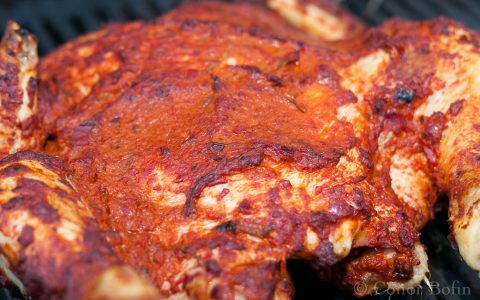 You can’t have DSR without a liberal application of ketchup or barbeque sauce! Otherwise you might be able to taste it! The sauce might be the only thing to save us, for sure Simon.